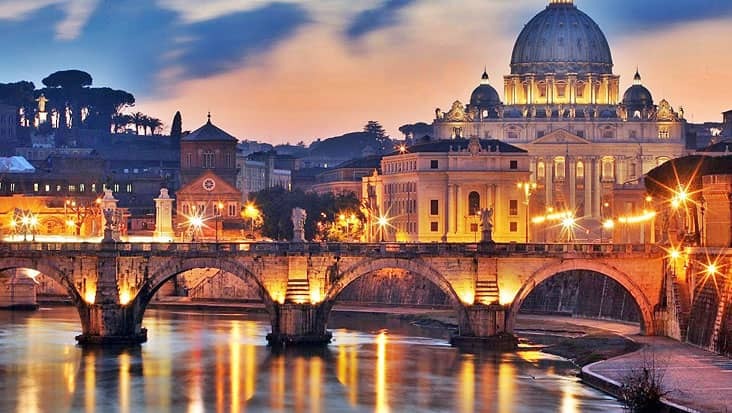 Drench in the Beauty of the Famous Archaeological Destination of Italy Exploring Ancient Monuments & Mosaics in Sedans during Rome to Monuments of Rome Tour. A major tourist population prefers visiting the heritage destination of Rome. The capital of Italy is known for its wonderful historical preservations which are renowned globally. You will fall in love with this city after exploring its different shades. The best way is to access a classic road tour in order to examine the various monuments & sites present in Rome. Benvenuto is a famous chauffeur service that is trusted by locals as well as international tourists. We offer chauffeured limousines that are loaded with helpful amenities so as to tour various parts of Italy. You can hire our service for Rome to Monuments of Rome Tour. The talented chauffeurs employed through Benvenuto will help you cruise to various important highlights in a comfortable manner. This tour would commence in the day time and will be completed in eight hours. The different sections of Rome will surely mesmerize you to the core. There are a number of museums & art galleries in this city that offer a deep insight about the history of this land. The Vatican City is the most sacred destination that is valued on an international level. Church of St. Peter, Gallery of Tapestries, Gallery of Maps, the Egyptian Museum and Gallery of the Candelabra are some of the prominent landmarks in Rome. The word-famous Colosseum from the Roman Era is among the top visited highlights in this city. You will get to learn about the rich culture, art & architecture that resides in different parts of Rome during this ride. Our driver will offer precise information regarding every significant landmark which is covered during the tour. We possess English-speaking chauffeurs who can interact fluently with foreigners. There is an entrance fee that needs to be paid for visiting specific sites. This cost is not a part of the main tour expense. Our chauffeur service offers classic rides that are high on appearance and performance. Mercedes S-Class & E-Class sedans along with V-Class minivans can be hired through us. These vehicles are armed with efficient GPS systems that help in carefree navigation. Minibuses can also be selected if the number of tourists is quite large. The tour cost to this superb city varies for sedans, minivans and minibuses. Dining cost & guide hiring charge is excluded from this amount. Comfortable walking shoes are suggested for this tour. Please dress respectfully when visiting the religious monuments; local customs require that knees and shoulders are completely covered while inside the Museum Please note that for safety reasons the Coliseum can accommodate up to 3.000 people at once. This could lead to delays in access to the site, even for pre-booked visitors Currently on the visit of the Colosseum; security measures have been tightened meaning that visitors could experience delays of up to 1 hour and 30 minutes in the line to go in. This also means that you may have to skip some of the other sights listed on our itinerary. At this time, we suggest visiting from the outside for photograph opportunities. If you are booking a private guide with us, the suggested time to book the tickets would be 1:00 PM. This will give you 3 hours inside the Museums. If you are booking just tickets, try to book them for 2:00 PM which will give you a good 2 hours around the Museum before closing. If these times are not available, 9:30 AM or 10:00 AM will work with or without a private guide (considering your tour starts at 09:00 AM). On Wednesdays, there is the Papal Audience in the morning, so we recommend booking your Vatican tickets in the afternoon.